La Pernella is the result of a long lasting passion for fresh and tasty food, established by an Italian family since 1994. 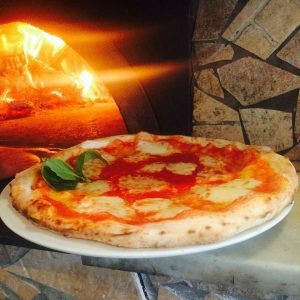 We started as a café only then expanded our premises to become cafe by day and an authentic Neapolitan pizzeria/restaurant by night. Our woodoven sourdough pizza is made fresh every day using high quality authentic italian ingredients following the original Southern Italian recipe. The owners, Mariano and Elena’s ambition is to bring a smile that only our italian cuisine can provide and to treat all their customers as part of the family!